I like to start my day with something refreshing like a smoothie to boost my energy. 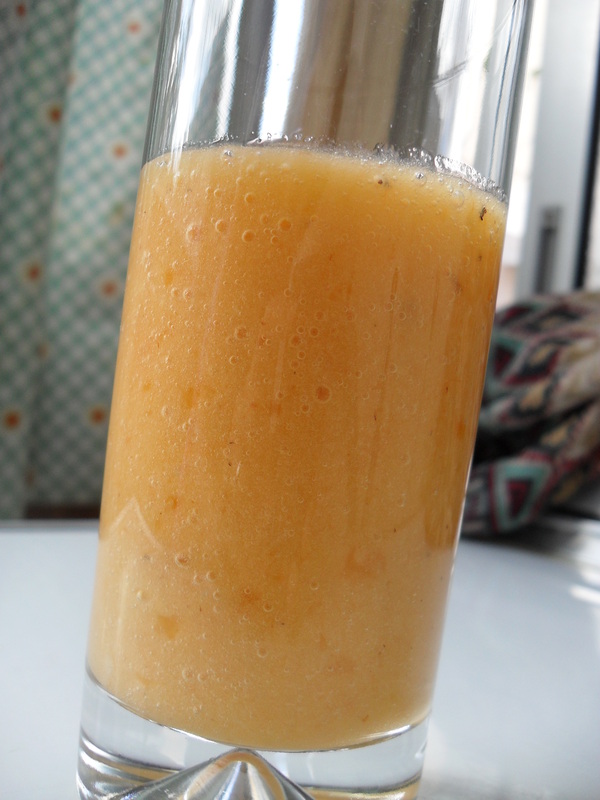 So I mixed one banana with one persimmon (without the skin) and the juice of half an orange. It is sweet, smooth, refreshing drink. Hope you like it. It has been long, since I did a fruits smoothie for breakfast. Yesterday I had the time, since I was home, I didn’t go to work. So we, my husband and I, took all the time to prepare our yummi breakfast. And this is the kind of breakfast I desire and won’t mind at all to have every morning. 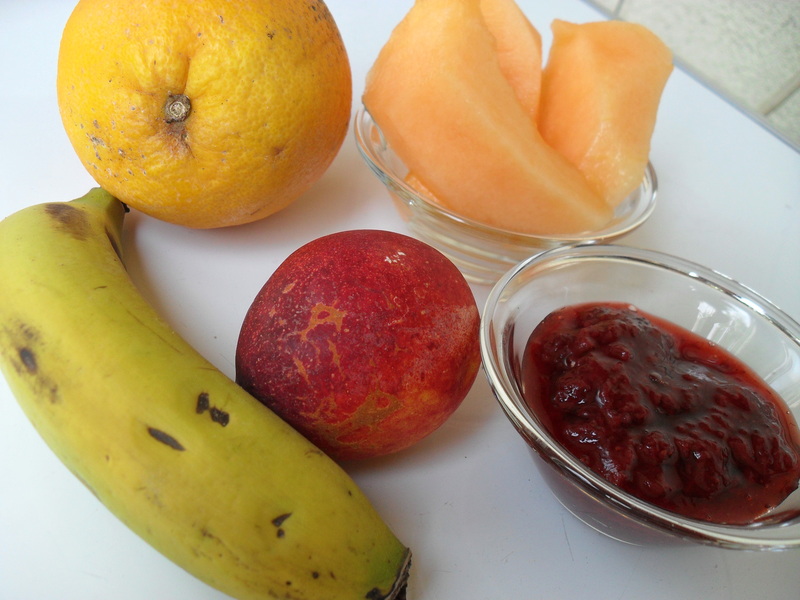 I just mixed some fruits I happen to have in the fridge, bananas, orange, melons, peach and home-made strawberry jam. The result was extremely delicious. 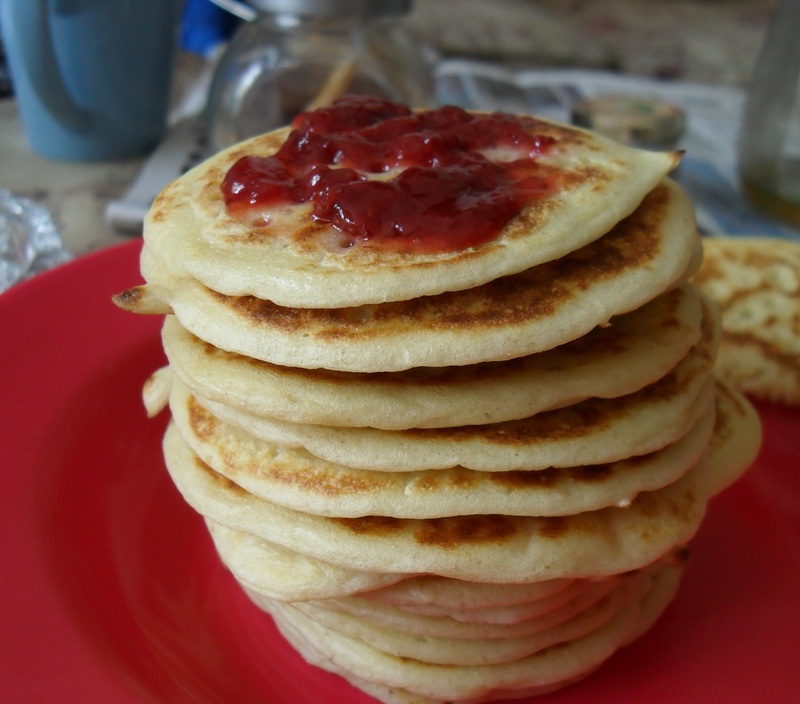 To complete the breakfast, a plate full of pancakes followed the smoothie, along with a cup of black coffee. Yummiii… It is one the perfect breakfasts to me.